A new website to celebrate our birthday! 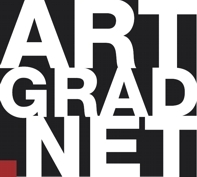 Since our launch in January 2010, ArtGrad.net is celebrating our second birthday with a new bigger and better website. ArtGrad.net now represents rising talent from around the world. The website which was created for art & design graduating students and professionals to exhibit and sell their work has gone from strength to strength and currently boasts some of the most interesting ‘rising stars’ from UK universities as well as American and European artists. The site has been re-designed to become more user-friendly for artists and the growing contingent of commercial buyers and private collectors. The re-launched site - which is still free to join, was developed to showcase the work of students and professionals. It now has the capacity to promote artists on a continuing basis allowing buyers to see new work, and highlight those who have just joined. A monthly e-bulletin called ‘Rising Stars’ showcases the changing face of talent and their work goes to commercial buyers and collectors bringing them ‘hot-out-of-the-studio’ pieces that they may not otherwise be able to see. Artgrad.net differs from other sites in that it works with artists and buyers to sell or commission work and can even advise and identify images that can be ‘re-purposed’ for decorative requirements on a licensing basis. A growing library of information for both artists and buyers is there to support Artgrad.net users too. Artists benefit from advice on how to market themselves and there is a constant stream of information about grants, commissions, competitions and exhibitions they may wish to try for. Buyers benefit from advice on what to look for in artists new to the market, support with commissioning - but above all having access to a continually growing pool of contemporary emerging talent from around the world.